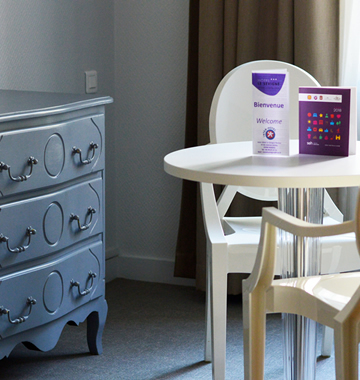 Ideally located near the train station, the congress centre, and a walk away from the historic city centre of Rennes, the Inter-Hotel LE SÉVIGNÉ has 44 fully equipped rooms. Our staff will provide you with a personalized and a professional service throughout your stay, whether you are traveling on business or with your family. In need of more independence? We also have 15 rooms dedicated to an innovative concept. This independent, friendly and warm place will make you feel at home. Enjoy the comfort and the family atmosphere of a 3-star hotel located in the heart of Rennes and its entertaining environment. Share a unique experience in a hotel residence where you will love the independence and the conviviality that it has to offer. Start the day with local products carefully selected at our regional producers’ facilities. Ask for your THE ORIGINALS membership card and get rewarded for your loyalty in the 600 hotels of the 4 different brands.